Whip heavy cream to stiff peaks in a large bowl. 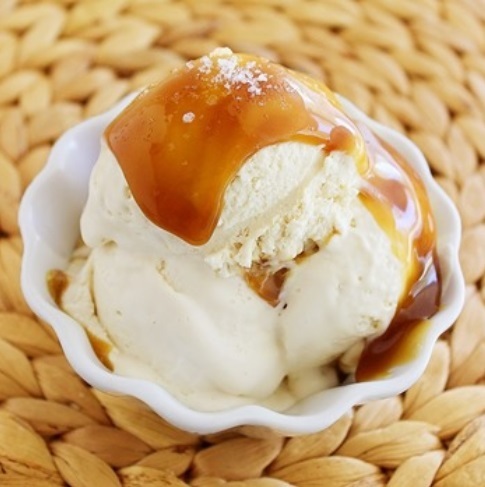 In a separate large bowl, whisk sweetened condensed milk, caramel sauce, sea salt, and bourbon. Fold in whipped cream with a rubber spatula. Pour into a 2-quart container and cover. Freeze 6 hours or until firm. Store in freezer.